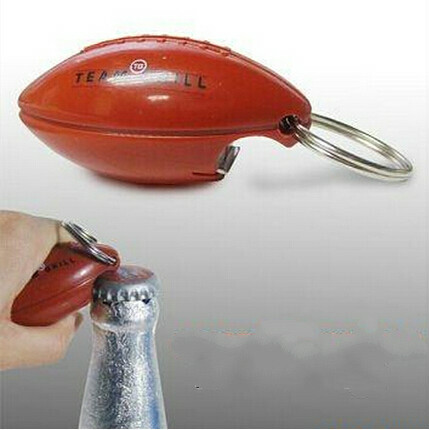 Football shape opener with key chain,Polishing for the Keychian and make the LOGO shining! Perfect partner for match, event and party! Size : 1 1/8" x 2 3/8" x 1 1/8"
Imprint Size : 1" x 2 3/8"